As part of the San Diego County community for over 25 years, "THE REGAL TEAM” has been proudly helping Buyers and Sellers achieve their Real Estate goals with honesty, sincerity, and responsibility. Through all this time, we've been making our clients' dreams became true from central California all the way down south, mainly throughout the following San Diego County areas: Allied Gardens, Bay Park, Cardiff, Cardiff By The Sea, Carlsbad, Casa De Oro, Chula Vista, City of San Diego, Clairemont, Coronado, Del Mar, El Cajon, Encinitas, Escondido, Fallbrook, Fairbanks Ranch, Granite Hills, Hidden Meadows, Imperial Beach, La Jolla, La Mesa, Lake Morena, Lake San Marcos, Lakeside, Lemon Grove, Leucadia, Mira Mesa, Morena, Mount Helix, National City, Ocean Beach, Oceanside, Olivenhain, Pacific Beach, Paradise Hills, Poway, Rancho Bernardo, Rancho San Diego, Rancho Santa Fe, San Carlos, San Diego City, San Diego Downtown, San Elijo Hills, San Marcos, Santee, Solana Beach, Sorrento Valley, Spring Valley, University Heights, Vista, and Winter Gardens. We bring a wealth of knowledge and expertise about buying and selling homes to put at your service with our utmost commitment to excellence. You need someone who knows the San Diego County area inside and out! “THE REGAL TEAM” can work with you to help you find the right San Diego County home at the right price, including all the neighborhood amenities that matter - not to mention the essential criteria you have for your perfect San Diego County home. When it's time to move up or downsize, you need a team who will advertise your beautiful San Diego County home for everything it's worth! You want it shown to all prospective buyers who are looking here in San Diego County area. Besides, your chosen Real Estate agent also needs a myriad of other important skills and specialized knowledge such as, negotiating the purchase contract to your advantage, overseeing the inspections, handling the abundance of necessary paperwork and supervising the closing. 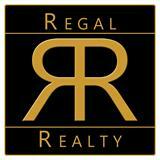 “THE REGAL TEAM” takes care of all these transaction needs and much more for you, from start to close. Oftentimes buyers don't visualize living in your home the way you do. "THE REGAL TEAM" can make your home attractive to its ideal audience - which can help you get top dollar. Things like staging the home, making repairs or minor improvements, or even simply painting the walls can be the difference between a home resting on the market and one that's sold fast.